TORONTO, ON – After several years of inching into the craft beer market via their purchases of Creemore Springs Brewery and Granville Island Brewing, Molson Coors Canada has announced the creation of the Six Pints Specialty Beer Company, a division that will initially act as an umbrella for those brands, with an aim to grow to encompass other Molson-owned and affiliated brands in the future. Named for the 18th century naval tradition of giving sailors of ration of six pints of beer per day, the new division will be headed by industry veteran Ian Freedman. 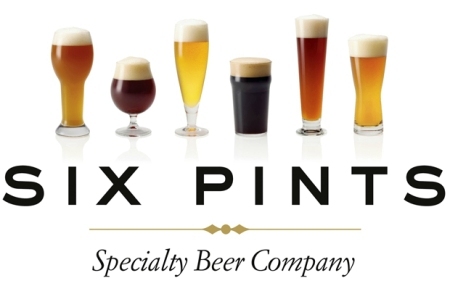 The first big move for Six Pints will be to increase distribution for Granville Island brands into Ontario this summer. Further plans will be announced here on CBN as details become available. How about more Ontario Craft beer in the Beer Store? I don’t care what this mega-brewery does, they have a retail monopoly and I never shop there. No thanks. Who own’s the Beer Store? Do your homework. Try not to post asinine thoughts. A great many Canadians are employed by Molson, so shopping there gets you not only great beer but keeps food on the table of a lot of hard working canadians.